It was a delightful farewell of year 2074 B.S. for 22 years of age Shrinkhala Khatiwada, as she stood wearing tiara of Miss Nepal World 2018 just two days prior to the dawn of the new year 2075 B.S. The lady hailing from Hetauda left behind twenty four other girls who were in the race of 23rd season of Miss Nepal title awards. 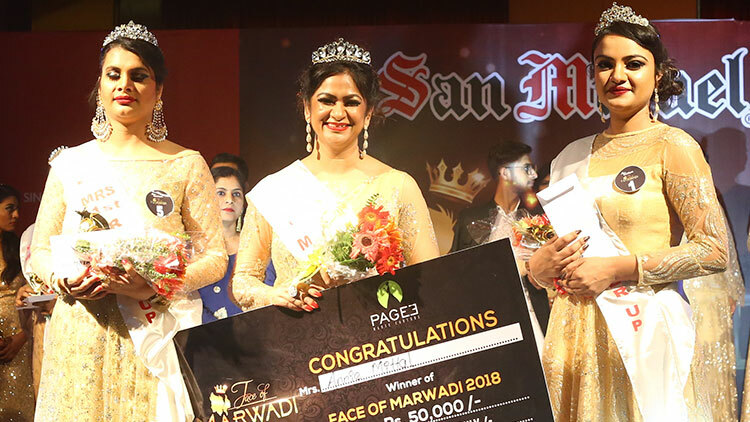 In the grand finale showcased at Hotel De la’ Annapurna, Durbarmarg, Kathmandu in the evening of 11th of April 2018, Shrinkhala also registered her name on two of the sub categories called Miss Beautiful Hair and Yamaha Miss Fascino. Being face of fascino, she also earned the brand new Yamaha Fascino Scooter. 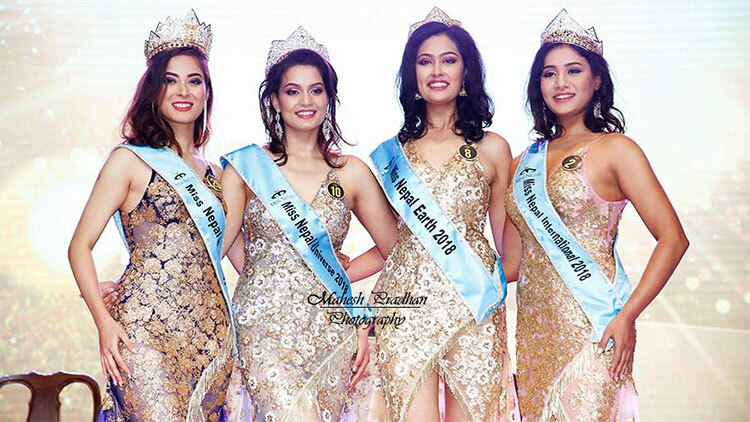 In the event Manita Devkota won the title of Miss Nepal Universe while Priya Sigdel bagged the title of Miss Nepal Earth while Ronali Amatya finished the competition as Miss Nepal International 2018. 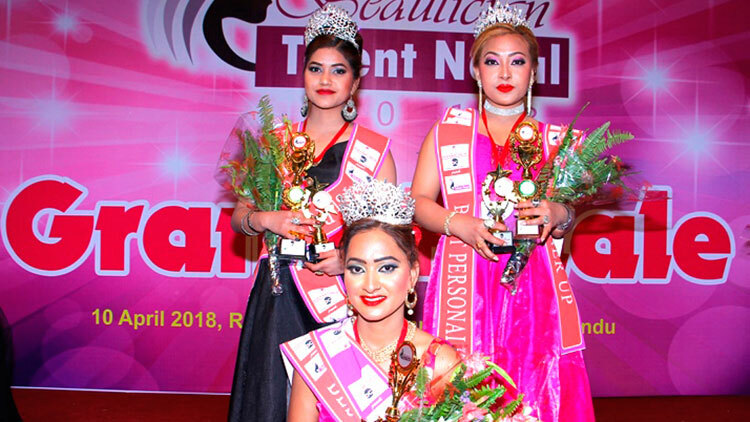 Devkota also earned Miss Glamour while Sigdel also took away the award of Miss Beauty with a Purpose and Amatya was victorious in Miss Talent category. All the top four winners won the cash prize of rupees one lakh each. The winners will represent Nepal at various international pageants. Khatiwada will represent at Miss World, Devkota will compete at Miss Universe, Sigdel will participate in Miss Earth while Amatya will combat for Miss International 2018. The event was been organized by The Hidden Treasure and was been choreographed Rachana Gurung Sharma. The event was emceed by Suraj Giri while contestants were dressed designers Bina Ghale, Sushma Singh and Manish Rai.